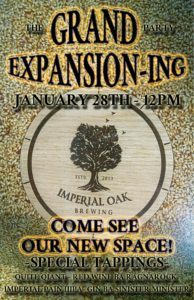 Home Events and Releases Grand Expansion-ing Saturday 1/28! Did ya hear that noise? We bursting at the seams! (*POP*) We just don’t fit into our pub anymore. Saturday January 28th at 12pm we’re getting a lot bigger! 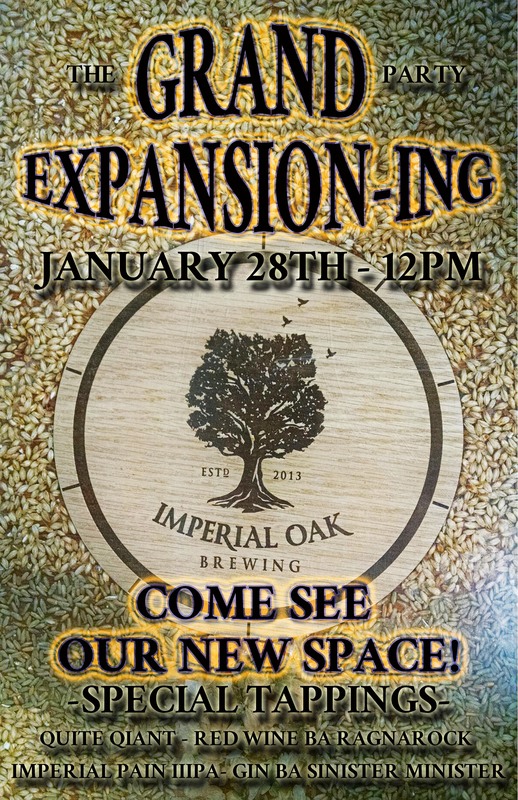 Join us for our “GRAND EXPANSION-ING” party as we unveil our newly constructed seating and sour fermentation space. To celebrate we will be releasing our Ragnarok Baltic Porter aged 1 year in California Cabernet Sauvignon barrels. We’ll have BA Ragnarok on tap and in bottles ($15) as well as a chocolate infused version on tap too. We’ll also be bringing out some classic limited beers and some brand new beers including 2016 Quiet Giant, Imperial Pain IIIPA, Gin BA Sinister Minister Quadrupel and 2016 Savage Oak – Ruby Flanders Style Red. Burger Antics will also be out serving up some tasty eats for the event! We’ll see you on the Sour Side!